PM sent, someone needs to snag up the T4 manifold ASAP. Pricing is NUTS!!! 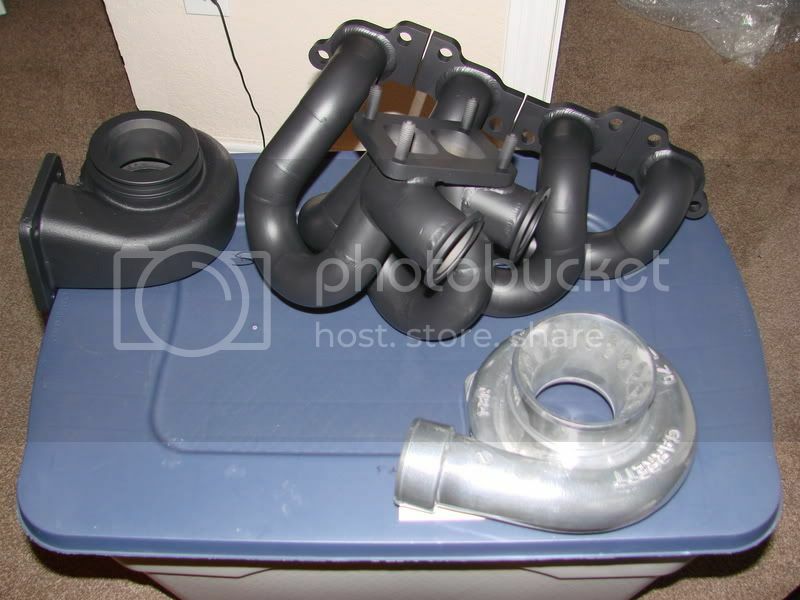 Also had a couple people ask about matching downpipes, and YES those are included in the sale as well. I initially started this thread on what was in stock ready to ship. So if you need a full package don't hesitate to ask for pricing!!! Last edited by [email protected]; 11-16-2008 at 02:00 AM.. I don't think Full Race makes a downpipe for the new twin-gate manifolds. Just the older versions. They do actually, I just confirmed it with them. Same price as the original I just must specify that it is for the dual gate manifold. Are you sure? Because I actually own the first T4 dual gate manifold they produced, and Geoff told me they didn't plan on making a downpipe for this application. Do you have a link or email that says otherwise? Also, FYI for anyone wanting to run the T4 dual gate manifold in an S14, you're going to need to modify your driver side shock tower and relocate the power steering reservoir to clear the turbo and wastegates. Not hard to do, but the info should still be known. Double confirming for you right now, should have answer in 20 min at most. I will copy and past AIM convo. RobertatMVP (12:14:42 PM): for the dual wastegate manifold correct? Oh, ok...so they are made to order then? That is correct, almost everything is made to order. The reason we have these manifolds in stock is that we ordered them a few months back so we would have stock! Most everyone wants their stuff ASAP and not wait 1+ month to get it. Gotcha. It's just that when we were discussing the manifold setup back in the summer, they weren't planning on releasing a downpipe. I decided to go with 3.5" anyway. Oh and guys...buy the manifold. It's a friggin' work of art. Worth every penny. Not a problem man and thanks for posting up some more pics of your awesome manifold. Let me know how your car does with this compared to your old setup. what is the benefit of having 2 wastegates?? Isn't 1 v44mm enough for our applications? does the coating void the warranty?? The advantage for 2 instead of 1 is better control of you boost at higher boost levels. For a majority of the 240's 1 is more than enough but there are a select few who will see 25+psi. The coating does not affect the warranty as long as they are the ones doing it. Still have T3 twin scroll single gates in stock as well as the T4 twin w/g mani ready to go!!! KA manifold shipped to 38133? KA manifold is now gone. Please see 1st post for more details! Thanks for the kind words alexander, I am sure you will not be dissapointed. All PM's have been sent/replied to!! 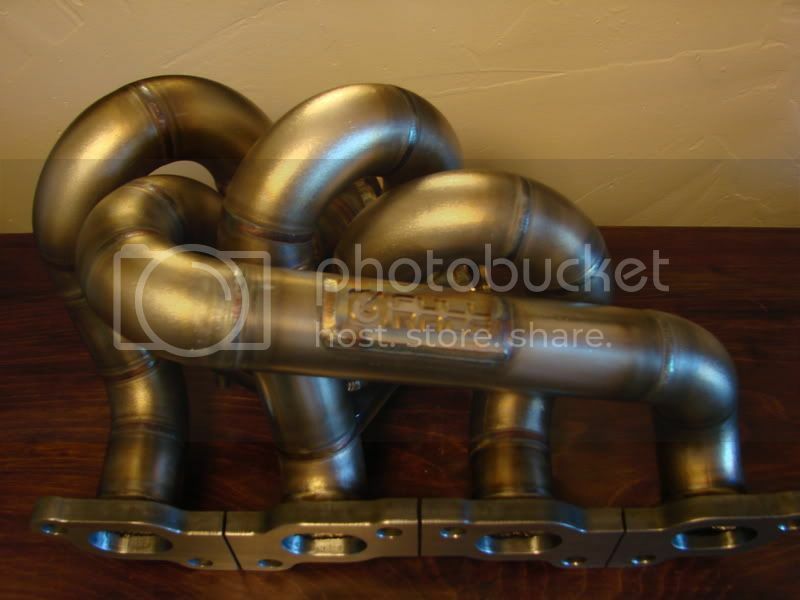 I would like to order the Single WG Twinscroll ProStreet Turbo Manifold. What do I need to do and where can I submit my order? Thanks! can you kick down a deal on that coil pack cover? It's on special now for $99 shipped and will now include new allen bolts!! I can do a Zilvia price of $85 shipped. T4 and T3 dual gate for SR and 2 KA24 manifolds in 2 weeks. SR single gate is 4-6 weeks out. They are telling me they are thinking of disco that manifold but no worries. Boost Logic has a jig for SR20DET manifolds. If you do not know who they are just look them up on SupraForums. VERY well known among the Supra Community. princing on ka24de twinscroll t3 single wastegate shipped to 23464. Boost Logic's game is tight. Please note that dual gate manifolds are in stock ready to ship for SR20, PM me for CRAZY pricing on either T4 or T3!!!! Nobody wants to run a baller twin gate setup? ?